John explored and studied the geology in Bolivia, Brazil, India and Sinai. On 26 June 1901 Dr John William Evans left Southampton on a two year trip to explore a region of in north-east Bolivia. 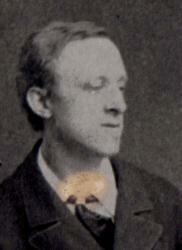 As well as a civil engineer / surveyor and a botanist he was accompanied by his younger cousin, John Turle. John was a student at Redruth College in Cornwall studying mining. The report of their trip, Expedition to Caupolican Bolivia 1901-1902 by Dr John William Evans, was published inThe Geographical Journal, No 6, Vol. XXII, December 1903 and read at the Geographical Society on June22,1903. According to Cherry Lewis in her book "The Dating Game" John was an archetypal eccentric and absent-minded professor. He wore an overcoat with turned up collar, a woollen scarf and a black Homburg hat when he was lecturing. He spent hours looking for mislaid object and always carried foreign language dictionaries and grammar books around with him. Professor P G H Boswell described John as closer to a genius than any other geologer he had ever met. John was a supporter of the continental drift theories and the work of Wegener which he read in the original German. John wrote the foreword for the English translation of this work. At the outbreak of World War I John was appointed Organizing Officer of the Willesden Battalion of the National Reserve and trained men in the new drill. Command of the Volunteer Reserve and afterwards of the Willesden Battalion of the middlesex Volunteer Regiment. Sub-Commandant of the Camp and Superintending Emergency Engineer on the London Defences.